This fall, we invite you to be apart of something that has the power to feed millions. It's a simple concept: gather those you love to share a meal, and provide meals to families in need around the world. Because food is at the core of what we need to survive and, beyond that, thrive. 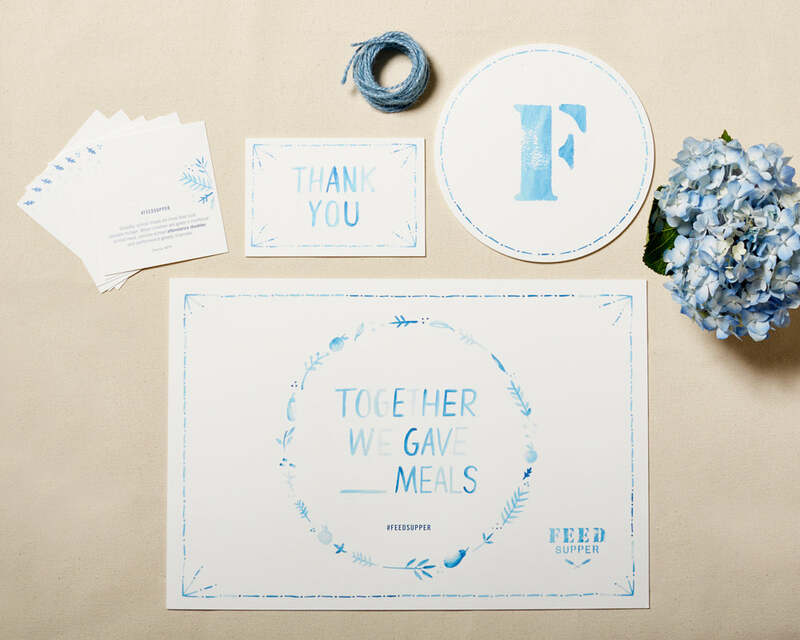 Last year we launched FEED Supper as a way for our community to come together to engage in the issue of hunger. Our goal was to raise 1 million meals over 30 days of grassroots Suppers. You helped us nearly double that, raising 1.9 million meals to families in need around the world and here in America. You blew us away with your passion for the cause, and your creativity when it came to throwing great dinner parties (check out #feedsupper for evidence). So this year, we think we can double the number of meals we collectively raise to 2 million. Here is where you get involved! Host your own FEED Supper between September 16th and October 16th (World Food Day) to help us reach our 2 million meal goal. It's really easy to become a Supper host. Just head on over to our FEED Supper site and create your individual host page. From there, pick your date, set a meal goal and invite your friends to donate meals with their attendance. And don't forget to buy your Supper toolkit by shopping the story at the bottom of this post! Keep checking in on the blog from now through the end of Supper. Along the way, we'll be providing entertaining tips and recipes from our favorite bloggers to make hosting a Supper easy and fabulous. So what do you think? Will you be hosting a FEED Supper this year? We've made a few tweaks to our original Kraft toolkit. This new version still comes with all the same elements, to help remind your guests why they've gathered. 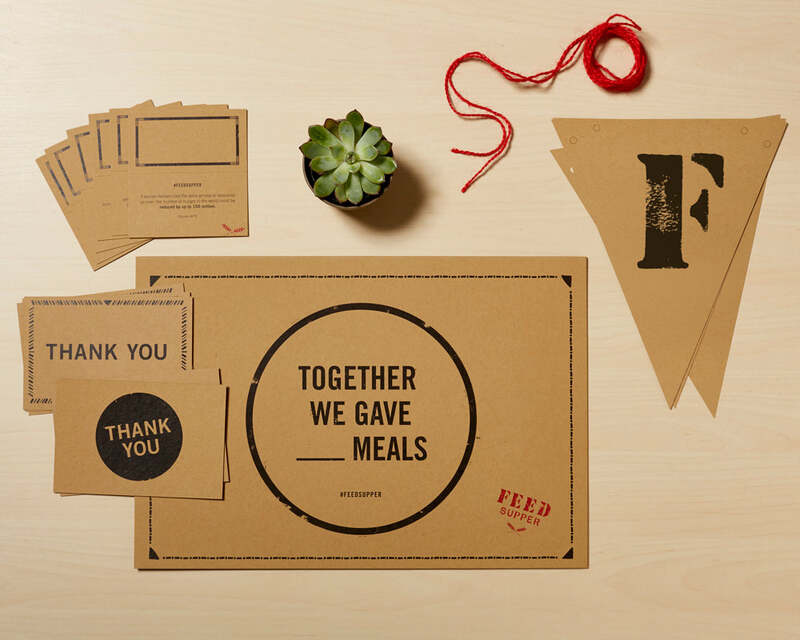 Included in each box is six placemats, six name cards with hunger facts, six thank you post cards, a FEED Supper banner and recipe cards from well known foodie bloggers. Introducing the limited edition Indigo toolkit, for Suppers when kraft just doesn't fit the vibe (hey, we get it!). This limited edition toolkit also includes six placemats, six name cards with hunger facts, six thank you post cards, a FEED Supper banner and recipe cards from well known foodie bloggers.